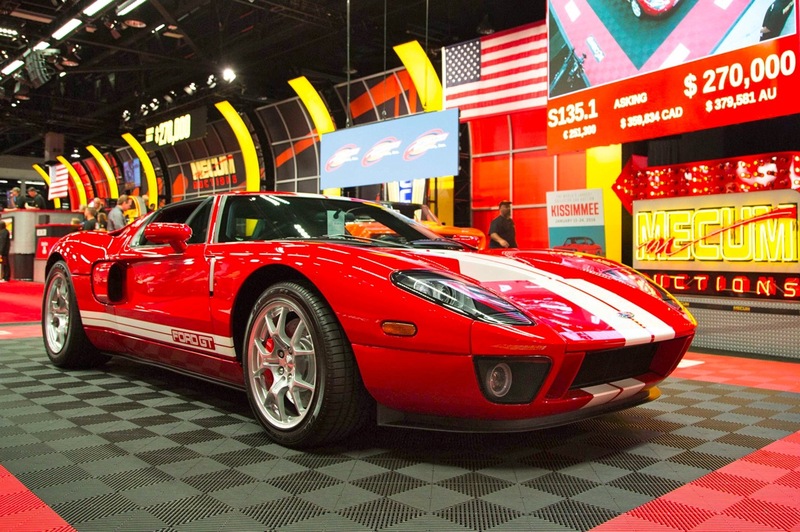 2005 FORD GT is top seller (at approximately $300,000) of 416 cars cars hammered sold throughout the three-day event. Held annually since 2012, the Southern California auction has established itself as an important part of the Mecum Auctions’ calendar. Volume and variety are always staple qualities of Mecum auctions, and the top 10 sales at this year’s Anaheim auction could easily qualify as one of the best demonstrations of this: Muscle cars, Ferraris, a ‘50s classic, a Corvette, a Resto Mod, a modern-day supercar, high-end luxury and more all claimed positions among top sales. The auction’s highest seller was a 2005 Ford GT (Lot S135.1) that hammered for $270,000 plus buyer vig.